When Volvo launched the new V90 and V90 Cross Country in US, the strategy was to offer Americans a Crossover-esque lifted version, while the “real” wagon had to be ordered. It turns out some dealers ordered V90s anyway, which means you can buy one without the wait. However, the option to order one directly from Sweden and score a trip to the country just to pick up your car might be too cool a deal to pass up. There was a time when Volvo made wonderful boxy wagons for the American market. Then they disappeared for while and gave way to the crossover takeover. Under new corporate ownership, Volvo initiated a product offensive against the Germans with the all-new XC90. It was so successful that the new 90 series platform then spawned the super stylish S90 sedan and V90 wagon and Cross Country variants. Volvo knew that it had to return to its roots with a legit mid-size wagon for the US market. Of course, Americans aren’t known for buying wagons, but as Subaru has proven with the Outback that if you add a few inches of ground clearance and slap on some cladding you can convince people that your wagon is a crossover. Volvo rightly assumed that the V90 Cross Country would be a bit more popular in the States than the lower, sleeker V90. Early on the automaker made the decision to have the V90 be factory-order only. This was disappointing, but understandable. Now, this policy didn’t exclude dealers from ordering a V90 anyway if they thought they could land a customer for it and that is exactly what a few Volvo stores did. 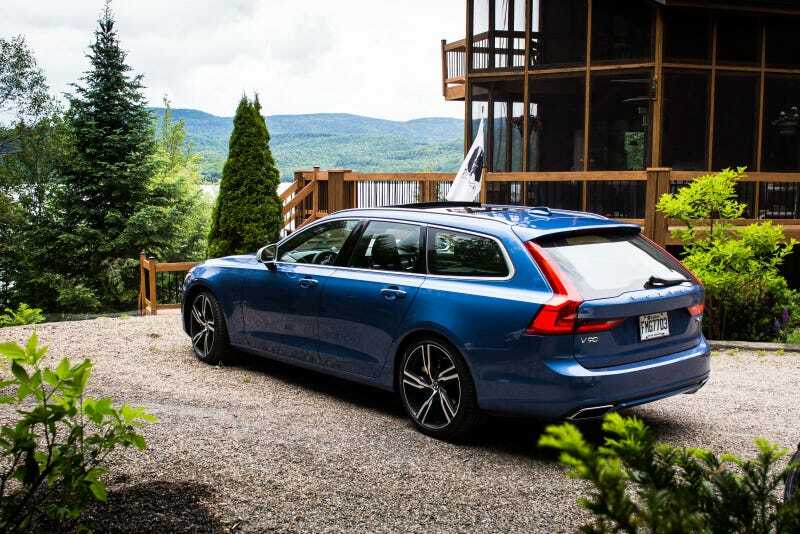 According to Autotrader.com, there are around 30, V90 wagons for sale nationwide, one of which is the very cool R-Design trim with the Polestar performance upgrade. These lovely longroofs don’t come cheap with the average price hovering around $62,000. Naturally, the number of standard V90s for sale pales in comparison to the over 1,500 V90 Cross Country wagons to choose from. If none of these cars suit your fancy, I do recommend placing an order for one and taking advantage of Volvo’s Overseas Delivery program, that treats you to a complimentary Swedish vacation with your new car.